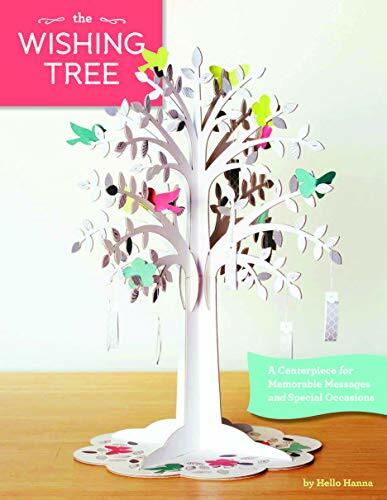 This gorgeous paper tree is the perfect centrepiece for special occasions: guests write their personal wishes to the hosts and hang them on the tree at weddings, baby showers, birthdays, New Years and any other event. This gorgeous paper tree is the perfect centrepiece for special occasions: guests write their personal wishes to the hosts and hang them on the tree at weddings, baby showers, birthdays, New Years and any other event. Based on the Best of the Stationery Show-winning Wishing Tree product, the tree comes ready to display with a heavyweight paper base, ready-to-hang paper wishing ribbons, and birds, butterflies, and flowers to decorate the branches.